What are the Features of the VTech Kidizoom Smartwatch? Does your child keep asking for a smartwatch? Is several hundred dollars completely out of your budget, so you had decided this type of gift was just going to have to wait until she was older? Well, worry no more. Not only are there smartwatches made for children under the age of 10 nowadays, something like a VTech Kidizoom Smartwatch is not only affordable but has a lot of cool features as well. What is a VTech Kidizoom Smartwatch? 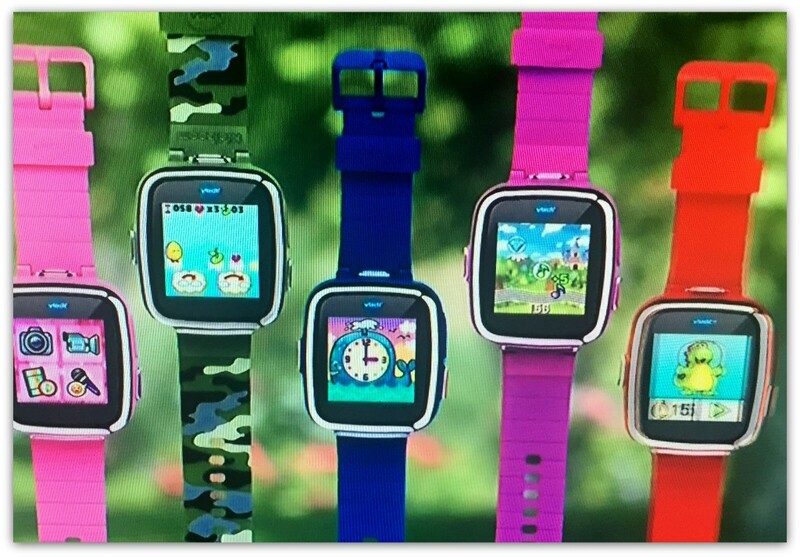 -- This type of smartwatch is a watch made specifically for children. From its cool and brightly colored design to its durability and included games and activities, this smartwatch is something your kid will love. Games too can be changed for other games that can easily be downloaded from one of the wristwatch's approved websites. What are the features of the VTech Kidizoom Smartwatch? -- The VTech Kidizoom Smartwatch comes with many of the features children love. From a plethora of games and activities targeted towards your child's specific age, right up to action challenges and a motion sensor to be able to complete them, this smartwatch has everything your child needs to have a lot of fun and learn some new things as well. An alarm, timer, calendar and a pedometer -- The VTech Kidizoom comes with several wristbands your child can wear depending on her mood. It also has an alarm, a timer, a calendar and a calculator. If your child loves to walk or run, the built-in pedometer is also something she will love to use to keep track of her fitness status. The included software will help her calculate her goals, and increase her daily mileage. Perfect for the budding photographer -- For kids who love taking photographs, the VTech Kidizoom Smartwatch will please them there as well. This watch allows your child to take photographs and videos, and even comes with sound effects and special effects so she can edit and transform her photos and videos into something even cooler and more unique. Long battery life -- Of course, kids want to put on a smartwatch and never have to take it off. With the battery that comes with the VTech Kidizoom Smartwatch, they will be able to wear this wristwatch for several days before it has to be removed to be recharged. That too can be done overnight, so your child never has to worry about not being able to wear the timepiece. Syncing with computers -- All of the software on the wristwatch is able to be synced with your child's computer, so she can keep an accurate record of all her fitness goals, upload her photos and videos using the included micro USB cable and update the included games. In fact, if you are looking for a great smartwatch for your child that still retails for less than a hundred dollars, then the VTech Kidizoom Smartwatch is something you should look closely at. Check out kids action cam for more information. kids-action-cam020 is using Hatena Blog. Would you like to try it too?